Phil Lightman has specialised in road transport art since the 1990s, producing varied images, mainly of classic cars and heritage buses. Based in Folkestone, he has augmented school art education with attendance at evening classes and by joining various local art societies. He has exhibited at local societies/car events and has completed many private commissions, with a number of repeat clients. Favourite media are gouache, watercolour and pencil. 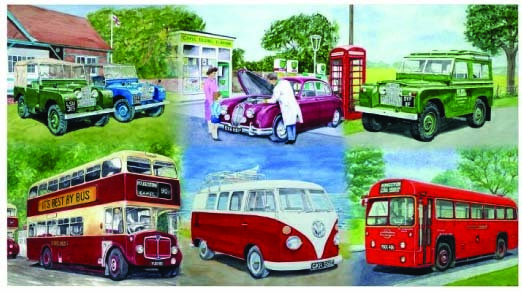 Has a wide and expanding range of motoring greetings cards. In addition to transport art, Phil has contributed wildlife art to the Royal Society for the Protection of Birds (RSPB) and the Kent Ornithological Society.